Sound Therapy Called "Beyond Tinnitus"
Discussion in 'Alternative Treatments and Research' started by calin, Aug 18, 2012. Found this by accident! What do you think? Does anyone know anything about this company? I'd like to give it a try but I don't find much about it. Anyone try it? Thoughts? Yes, I did. A waste of $300. Sound therapy offered through your computer. You have to be pretty computer savvy in order to get it working. Sadly, I'm not. I needed some help locally. I am currently undergoing Neuromonics therapy and counseling through the University of Iowa. I needed face to face interaction with a professional. Did not get this with "Beyond Tinnitus". I did find the website and read about the therapy. I did not purchase anything from the company. What I found most interesting was the research from the founder, Dr. Alfred Tomatis. You can read about him on the website. He believed that the middle ear could be exercised by listening to classical music. The complexity of the music gives the middle ear a work out, and is supposed to help improve hearing overall. 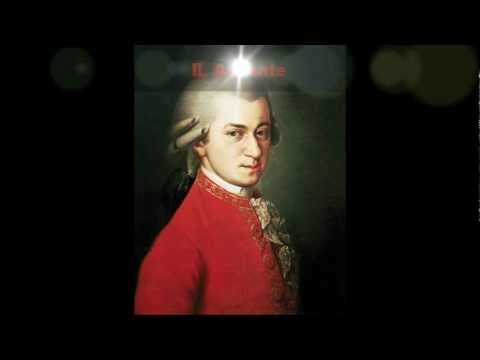 I downloaded Mozart Symphony 40 onto my phone earlier in my T and listened. It seemed to help, as I believe I have improved from my original state. The only bad problem with listening to Mozart is that all I could envision while listening to the music was classic Bugs Bunny cartoons... So much for sophistication. I say start with Mozart, which is available on YouTube for free at the link below. It is quite spectacular to listen to, around 30 minutes for the full version. Keep us updated on how Neuromonics is working for you. Just curious, what kind of music did you use with Beyond Tinnitus? Was it anything like the music on the Neuromonics device? I believe Beyond Tinnitus lets you bring your own music. They like mp3 files. From what I'm reading about compressed music, however, I now believe it's best to use old fashioned CDs. CDs have the full spectrum of sounds, whereas Internet music files are always compressed. Even if you don't notice the missing sounds, your ears might--from a therapeutic standpoint, that is! Mick - I have made improvements with insomnia and depresssion. Still have some anxiety. Cannot say the improvements are all due to neuromonics since I also see a psychologist and physician for meds. Working together I have improved. The music is New Age stuff - boring. So you used new age stuff with both Beyond Tinnitus, and new age track on the Neuromonics device? The reason I'm asking is that I experimented with making my own notched music, but used music I liked and added some white noise to it. I found though that this notched music made my T worse. When I tried the Neuromonics device I liked the new age as well as baroque tracks, and just was wondering if the type of music might make a difference in the effectiveness. Mick - I downloaded classical music from iTunes to use with Beyond Tinnitus. 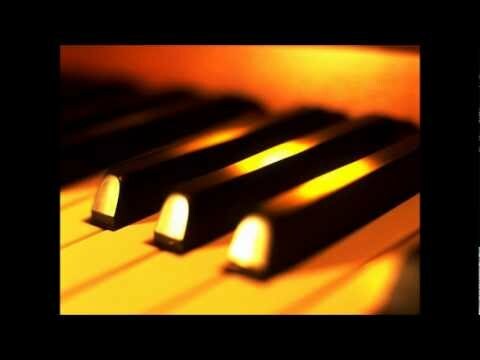 I really do not think classical or the New Age music makes any difference at least for me. I have not used it but know of a few others who have. I remember them saying it was complicated to use (not as user friendly as it could be) and not much better than other offerings such as Audio Notch. erik said before you that according to what he remembers others telling it's not very user friendly. One would think that the company behind Beyond Tinnitus would help you with how to use it, especially considering the hefty price. Maybe ask them? I believe Beyond Tinnitus is a scam or has closed shop. There has been no response to my emails (and that is included in the basic package). I've also tried calling their Headquarters number and get a recording that the number is no longer a "working number". I tried their Enginneering number which is a Google Voice number and it goes to a recording. The software is buggy and I've been using computers for 30 years. Some of their instructions don't make sense. Very, very disappointed that I purchased this program. I would not suggest anyone purchase it at this point. I am week one into Beyond Tinnitus. 1. They gave me good support. No bugs within the software now. 2. They responded to every question I had. 3. Beyond Tinntus works on the EXACT same concept a Neumonics but is much cheaper. So, IF Neumonics works, then Beyond Tinnitus will work. It is not a scam. If Beyond Tinnitus DOES work, I will be its biggest supporter. If not, I will say it's a waste. However, it is not a scam. Ginkgo is a scam! If Beyond Tinnitus DOES work, I will be its biggest supporter. If not, I will say it's a waste. Thank you for this information! Yes, please keep up updated regularly with your progress. If it works for your, others will want to try it. Did they give you an approximate time period for the therapy to work? With sound therapies, it usually takes many months--but that's fine as long as you get a good result. What else did they tell you to expect? Some sound therapies, for example, may temporary increase your tinnitus but it should go back to baseline and, eventually lower. I am glad they are giving you good tech support. This has been a weak area for this company. Yes, 6 months. Listen to sounds 2-4 hours per day. 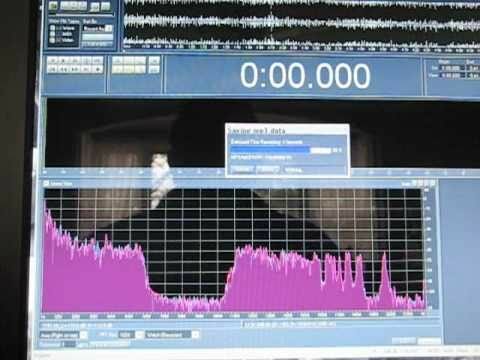 You match your tinnitus (using their software) and it creates a "sound therapy" file. I don't combine it with music, but their software does allow for that. The concept of brain plasticity does make sense as a treatment. The brain can learn to change its perception of the ringing. Any sound therapy that uses brain plasticity will take many months to work. It's like recovering from a stroke and your brain has to "relearn" what it has lost. Ok, at this point my tinnitus is starting to lower somewhat. I listen 4+ hours per day with earphones, at a very low volume. Now, at times, the therpay sounds will be done playing a I don't notice they are finished playing. It is still too early to evaluate the product, but I am creating a new therpay file with lower pitch now. I listen to this therpay file a lot! Not ready to "bless" this product, but good, something is happening. wondering about this myself I went to UCI. and they recommend hearing aids. on the way out they gave me a pamphlet about beyond tinnitus. glad to hear you are getting some help out of it. I have tried calling and emailing them and no response, their Facebook page has not been updated for around a year. I am hesitant to drop $400 bucks and get no support. If a company doesn't respond to emails and don't update their online channels, why would you give your money to them. I would just try Mozart Sonata, as it's been proven in studies to work. It's this one in particular that seems to work. Listen for 1 hour a day, for one month. 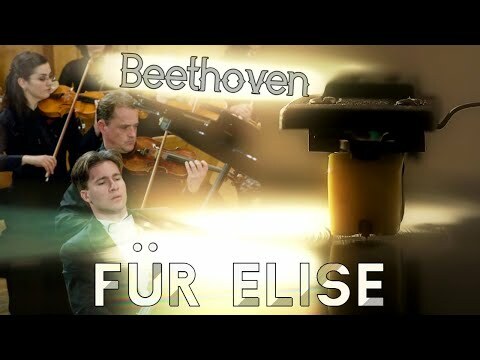 Afterwards, listen to Beethoven's Für Elise sonata for 1 hour a day, for one month. But then neuromonics doesn't work. If you choose Beyond Tinnitus I don't recommend paying the extra for their so called extra help. If you ask a three part question they take their time to answer and usually only answer one part ignoring the rest. Very user unfriendly. After your subscription they refuse to communicate with you at all. I haven't tried it, but came across it the other day. @tintin31 has had significant success with this approach. Would that require being able to hear above the frequency of your tinnitus? I haven't actually attempted this with any diligence. In my case, my hearing on the left drops a lot at 12-14 khz, but I am still able to hear those frequencies; I can hear up into the 16-17 range at least. Sounds up in those ranges drive me bloody bonkers, though, so the idea of subjecting myself to them at louder volumes for 2 hours a day is... not super attractive. Like, if my tinnitus gets a bit better but I stick a screwdriver through my eye socket as a result of the treatment it's probably not a net gain for my quality of life. I also can't really say with any certainty that my ringing is all in the 12-14 range; some of it is actually significantly lower than that. When I try to pitch-match the most bothersome sounds, I always end up deciding it's 14/14.5 khz, but, if I can't actually hear external noise at 20 khz, then maybe some of it is a lot higher than 14 and I just can't match it. I tried notch therapy. It worked great for 1 1/2 days and them came back with a vengance with both ears ringing. Don't spend any money for it. There are free websites. It's really hard to find the proper frequency pitch accuratly. Any Success Stories from Hyperacusis Sufferers Who Haven't Used Sound Therapy?